Grow on the Move. Download Now. 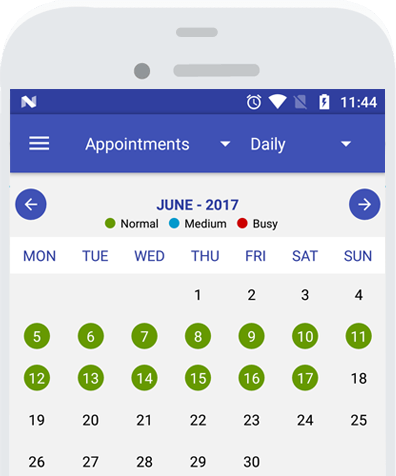 Schedule your staff/ Share your business calendar with your staff & family. 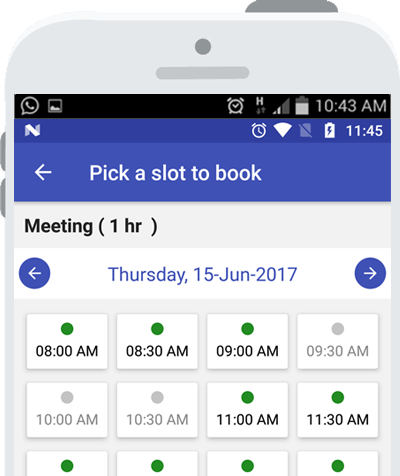 Unique & easy to remember MarkMyDiary.com presence for your business – your online receptionist. Quick access to visit & buying information of your clients to run loyalty programs. Send Personalized greetings, Collect reviews from your clients and publish the across. Tour operators, Cruises, Fishing, Diving, Cycling, Hot Air Balloons Operators, Photography, Driving Schools, Dance & Music classes. I love it. I love this app. It's the best of its kind for a fraction of $$$ a year. It's definitely worthy. Love, Love, Love! This app has been a life saver! I have had so much positive feedback from clients and last minute cancelations don't exist anymore. I just hope things stay the same and it continues to work. 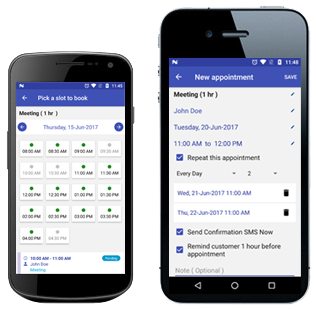 I am a hairstylist and this app is awesome works great on my galaxy s4 a paperless appointment book in my hands 24/7 and I love the reminders it send me and my clients so we both are on time. For the price two Pizzas, you will get all the tools you need grow your business !! Copyright 2017 © MarkMyDiary Technologies Pvt. Ltd.